The polarizing survivor of the Parkland mass shooting has been falsely labeled a crisis actor, vilified by the NRA and called names by TV hosts. And David Hogg isn't avoiding self-criticism in his new book. In fact, he calls himself "arrogant," ''skinny" and details his rejection by girls. Eighteen-year-old Hogg admits he was super cocky after being named debate captain at Marjory Stoneman Douglas High School. "I was just so narcissistic and pretentious back then, even more than I am now ... Pretentiousness was probably my substitute for actual confidence," Hogg writes in "#NeverAgain," which he co-authored with his sister Lauren Hogg. Released this month, it's published by Random House. The siblings are donating the proceeds to charity. The teen talks about how he felt like an "outsider" when he first moved to the upscale Florida community halfway through the school year in 2014, but found a sense of place through journalism and photography. In an interview in New York on Tuesday, Hogg told a video journalist from The Associated Press that it was important for him to be vulnerable in the book and take inventory of his own shortcomings. "I think America also needs to face its own problems as well. And I hope the book kind of teaches empathy for everybody," he said. The book includes gripping accounts of the siblings' experiences trapped inside their classrooms as a gunman opened fire, killing 17. Former student Nikolas Cruz has been charged in the massacre. Lauren Hogg, a 15-year-old freshman lost four friends in the shooting. She cried so uncontrollably for the next three days that her mom wanted to take her to the emergency room, describing the sounds coming out of her mouth as "subhuman." David wrote that his sister's sobbing, in part, motivated his activism. He hopped on his bicycle, ignoring his parents' protests, and rode back to the school to do media interviews the evening after the shooting. He's taking a year off before starting college, in part, he says because he wants to be around to look out for his little sister. 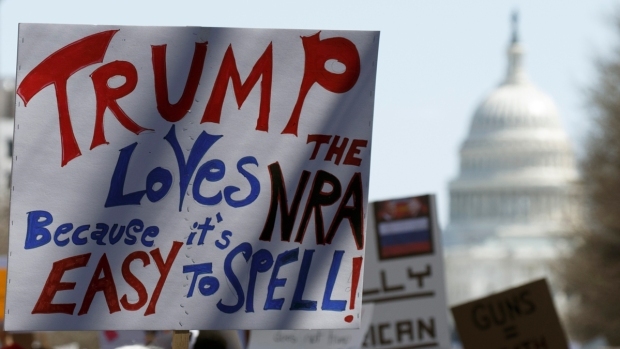 The book also offers an inside look at the early days of the March For Our Lives grassroots efforts that mobilized hundreds of thousands around the world to march for gun reform and made Hogg, Emma Gonzalez, Cameron Kasky and other Parkland students household names. He admits he was put off, at first, by Gonzalez' shaved head, dismissing her as someone trying to be edgy. As he got to know her, Hogg writes he was taken by her compassion and the two bonded over memes, politics and their shared obsession with space. 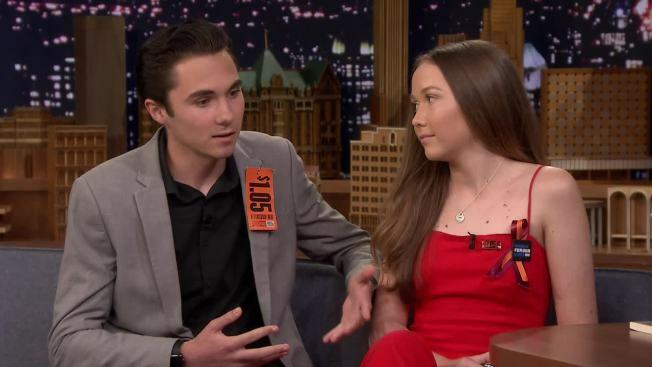 The night before the shooting, Hogg said he felt an "overwhelming urge to call Emma and tell her how much I cared about her," telling her "I know that you're going to change the world and I can't wait to see how you do it." After the shooting "Cameron and a small group of his drama-department friends were quietly planning to rewrite the entire national dialogue about school shootings," Hogg writes. Two days after the shooting, Hogg attended the group's first official meeting at Kasky's house. "My first impression was, 'Wow, these guys are extroverted.'" Hogg said they were extremely disorganized at first, but "insanely obsessive from day one ... we just kept going until we fell asleep. Some of us didn't even go home. We just stayed at Cameron's house, sleeping on the couch or the floor and jumping up in the middle of the night with another idea." Lauren Hogg says she's struggled with not being included in the group from its inception. "He's my big brother he's always tried to protect me and as much as I appreciate that I wish you would've told me earlier about what they were doing," Lauren told AP, adding the reason she thinks they've avoided burnout is because "we've become a family." 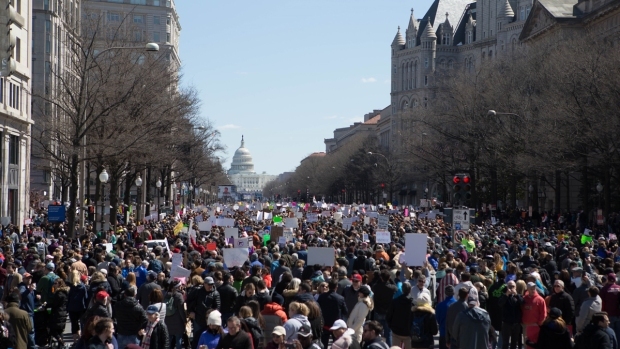 David writes that the March for our Lives group came "together to try to heal the world and found out that was the best way to heal."